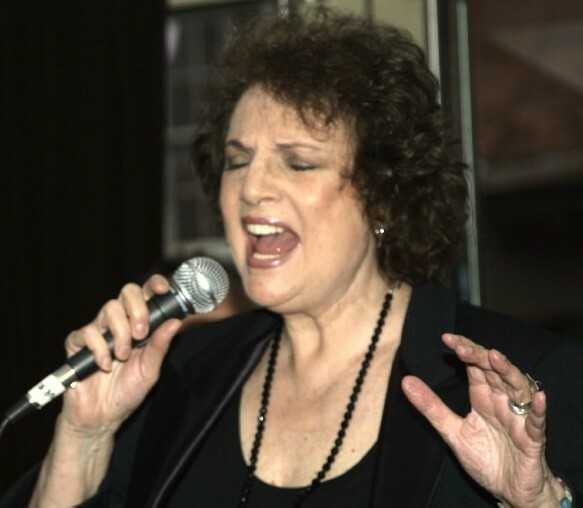 During these past few years New York City jazz vocalist Elli Fordyce has become a good friend to me, so to suggest that this interview was objective or the writing thereof is not subjective, would simply not be telling the truth, so having said that, allow me to introduce you to one of the most fascinating women that I have known. Three years ago, through a mutual friend and her publicist I was introduced to a lady whose vitality belies her age, which we shall say is stuck at thirty-nine, and her album Something Still Cool, released in 2008 and which was greeted with critical acclaim by the jazz community. Recently she followed up the 2008 recording with this year’s release of Songs Spun Of Gold, and Fordyce is once again in rare form, as she breathes new life into the opening track, Jimmy McHugh and Frank Loesser’s “Let’s Get Lost,” a song on which Ed MacEachern’s elegant guitar, Mark Wade’s bass and Phil Stewart’s subtle and stylish drumming, provide the perfect accompaniment for Ms. Fordyce. Prior to working on the album Something Still Cool, Fordyce had been absent from the music scene for a number of years, so it seemed natural to pose a question as to whether or not she was surprised by the response that the CD evoked from critics and jazz fans alike. Contrary to the original intent for Something Still Cool, Elli Fordyce drew rave reviews, and as you listen to the current album, on which she coos “Desafinado,” penned by numerous writers, the most notable of which was Antonio Carlos Jobim, you fully appreciate Fordyce’s phrasing and the authenticity that she brings to lines such as, “There’ll be no desafinado / When your heart belongs to me completely / We won’t be out of tune / You’ll sing along with me.” She rekindles the romantic flame of this beautiful song. The title of the album Something Still Cool was inspired by the June Christy song (and solo album), “Something Cool,” and the current recording Songs Spun Of Gold takes its inspiration from the line of a song. Surely Richard Rodgers and Lorenz Hart who co-wrote “My Heart Stood Still,” could not have envisioned what took place in the studio, during Elli Fordyce’s recording of the love letter. “I recorded it, ‘My Heart Stood Still,’ in the studio and they got a video of it with my dog, my five pound Minty. I sang ‘I took one look at you / That’s All I meant to do / And then my heart stood still,’ and she (Minty) put her head down on my chest at that very instant. She just rested herself there,” recalls Fordyce. Elli Fordyce takes her craft seriously and is more concerned about the music than merely recording something for the commercial success, having said that I am sure she would be happy to accommodate your request to book her for a gig. When you listen to Elli Fordyce sing on her current album Songs Spun Of Gold, you can be sure that each tune was carefully thought about and chosen with the same care and attention, to which one might attach buying a gift for that special someone. In this case the gift is her incredible voice and the equally outstanding tunes that she has recorded, and you, the listener are that special someone.